I am a HUGE HUGE HUGE fan of Project Runway. I don’t have cable so I always wait patiently for each season to come out on Netflix and then my family knows not to bother me as I watch episode after episode. After watching my first few episodes, I wanted to learn how to make clothes. I know how to sew – so why can’t I make clothes? After thinking about it for a bit, I decided I really don’t have time for a new ‘project’ right now so I thought more about the show. What do I really like about it? Is it the fashion? Sure, that’s neat but I’m not really a fashion girl. Is it the people? Of course – I absolutely love Heidi and Tim Gunn. But I think my answer is – it’s the challenge. These people are give a task, a few dollars and little time to complete it and they make the most amazing things! I want to do that! I want a challenge – with guidelines for budget, time, and end result. So how can I make this work for my needs – Project QUILTING of course! Here’s the deal. My mother-in-law, Diane, a talented quilter and teacher herself, is going to post a ‘challenge’ every-other Sunday at Noon. You will have one week to complete the challenge and post your pictures (I think I’ll set up a flickr account for this – I’ll update you later this week), tell your story of how you decided to solve the challenge the way you did. If you want to make a video to go with it – that of course is a bonus! Once the challenge entries are up voting will be open for a few days and hand-dyed fabric will be the prize! (Not sure how many prizes yet, again – I’ll fill in the minor details later – before the first challenge goes up). Also, I have to make the disclaimer that I will have NO IDEA as to what the challenge is. I am giving my MIL permission to post to my blog so that I can participate since I absolutely LOVE challenges! I can’t wait to hear what you think about this idea and how many plan on participating – I know I’m excited! Sounds intriguing! I'll have to see if I can do this when I read the challenge, but so far I say count me in. Yeah Debbie! I'm sure you'll be fine. My MIL promised that she's keeping the first one fairly simple and I think she may have said the word traditional…not sure what that means…we'll have to wait and see! I love Project Runway, too. I also love a challenge! This really sounds like fun, Kim. I hope I'll be able to participate! Great idea Kim!!! I am not the sewing tipe (more paint and knitting for me) but going to whatc it and wait to see the projects !! Great idea! I love challenges!! I have been looking for some challenges to participate in, hope I can do some of these. I am looking forward to the first challenge. Not sure I will be able to participate but would love to find the time to do so. This sounds like SO much fun!! I'm not a quilter, but I'm eager to watch from the sidelines. Great idea! Is the first one coming this Sunday? It sounds really fun! I love a challenge. If time permits, I will definitely participate. Can't wait! I love challenges, too! What a great idea! Can't wait to see what people come up with. fabulous idea, wish I had time to do this but I will follow you all and have fun!! I think this sounds like a great idea! i love this idea. waiting patiently for it to begin. if i have a deadline, i will actually make the effort to finish it. This sounds like WAY too much fun! I am in! from one Kim to another, this sounds like a blast! i cant wait to join in! LOVE PROJECT RUNWAY!!!! Phone comes off the hook and I just don't respond to any questions headed in my direstion! Can't wait to see the first challenge. Great idea! Hi! 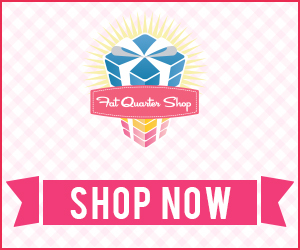 Just followed a tweet from @FatQuarterShop over here. What a fantastic idea! I love Project Runway, and it definitely has me itching to learn to sew clothing. can't promise I'll have room in my budget to participate in Project Quilting, but I'm subscribing to your blog to follow along! I love this idea, Kim. I am VERY curious to see what the challenge is – I also love the show, Project Runway. Bring it on!! This sounds like fun. As long as I can get to my sewing room I want to play! Sounds like lots of fun, and I too am a fan of Project Runway. I will just have to "Make it work". Love Project Runway too! This does sound like fun! This might help me with my scraps! Hope I can get it done! Great Idea!! Why didn't I think of that. I've been sewing since I was 8 years old, been quilting for the last 20 years and am a HUGE Project Runway fan. Only problem is I work full time and a week is not enough time – I'll keep checking in. Just like Project Runway, there are the challenge participants and the audience. I may not be able to participate yet can still read and follow as 'tadas' are unveiled. Thanks for an interesting Project Quilting.